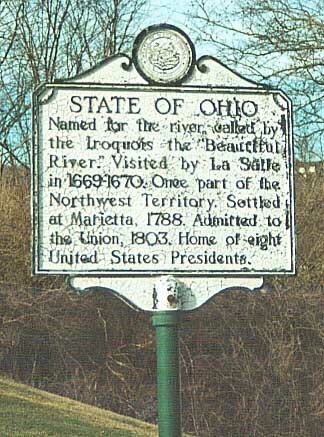 West Virginia was kind enough to make a historic placard for Ohio for those approaching the old bridge and for those coming into West Virginia, the placard denoted the history for Hancock Co.
What Chester has done with the approach to its former Ohio River crossing. 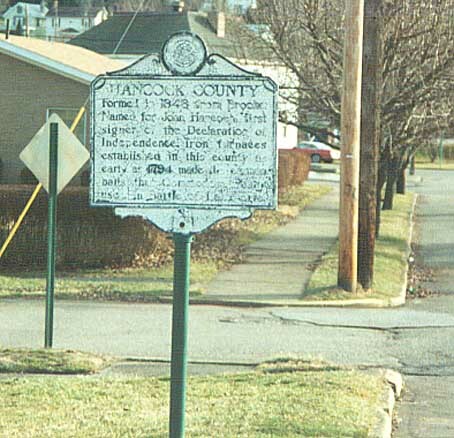 The rectangles in the blacktop denote where a toll booth once stood on the approach to the Ohio River bridge from Chester W Va to East Liverpool Ohio (see above). 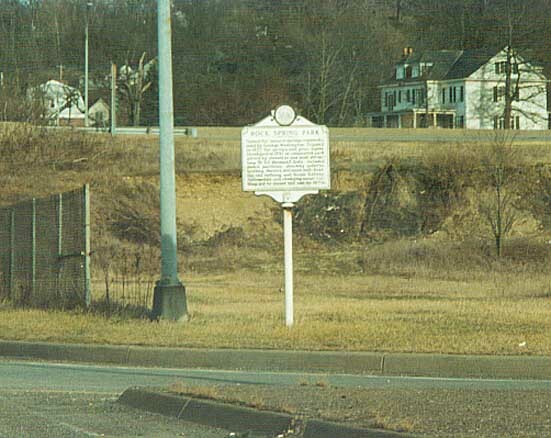 Historic placard noting the Rock Springs Amusment Park that once stood where the current US 30 bridge approach and exit to Chester now stand. 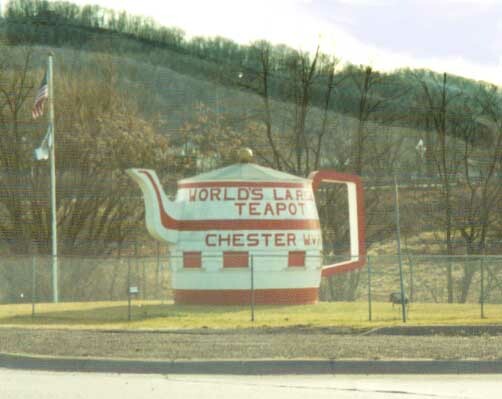 According to both the Ohio & PA Lincoln Highway histories, Rock Springs Amusment Park was fairly delapadated when taken out in 1969. If you have comments about this page, e-mail Marc Fannin at musxf579@kent.edu.